Berlin has very few hills, which is great news for cyclists, but less so for those who want a decent overview of the city. However, with a little imagination and a bit of legwork you can find some fantastic views. We’ll get this one out of the way first. 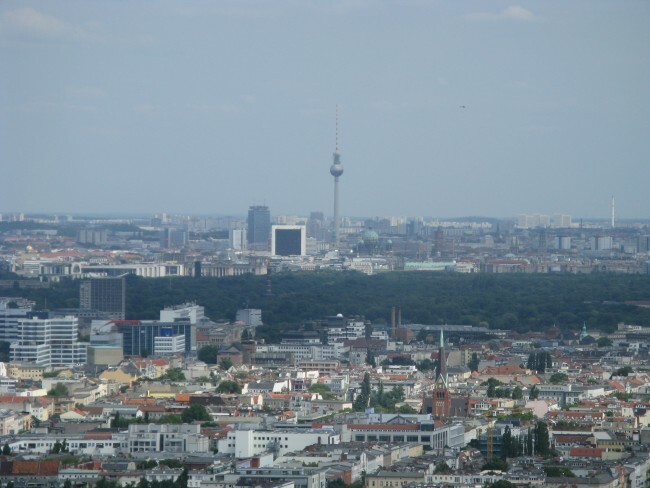 Towering over Alexanderplatz, the Fernsehturm (television tower) has long been a symbol of the city. It’s also the tallest building in Germany, so an obvious place to get a great view over the whole of Berlin and – on a clear day – beyond. Tickets range from 13€ to 23€ and you need to book in advance online to avoid the queues. However – and here’s a secret many people don’t know – there is another media tower in the west of the city. Even better, you pay just 3€ for an elevator trip to the top of the Funkturm, or radio tower. 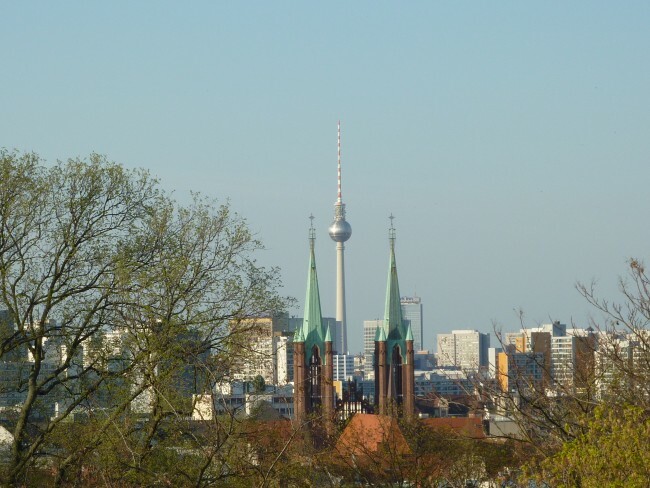 The tower isn’t as central as the Fernsehturm, so the view isn’t quite as dramatic – but it’s still a very tall building, at a very cheap price! 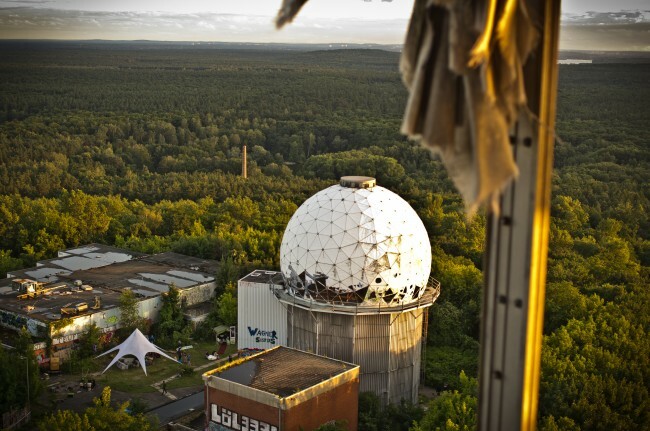 One of the most fascinating remnants of the Cold War is the listening station on top of Teufelsberg (Devil’s Mountain) to the west of Berlin. It was built by the US National Security Agency (NSA) in 1961, and now stands slowly deteriorating on the hill. Check out the website for tour times and enjoy some incredible graffiti , as well as unbeatable views of Berlin and its surrounding forests. During WW2 the Nazis built eight Flak towers (Flaktürme) in Berlin, Hamburg and Vienna. They were intended as anti-aircraft towers, to defend against Allied air raids. 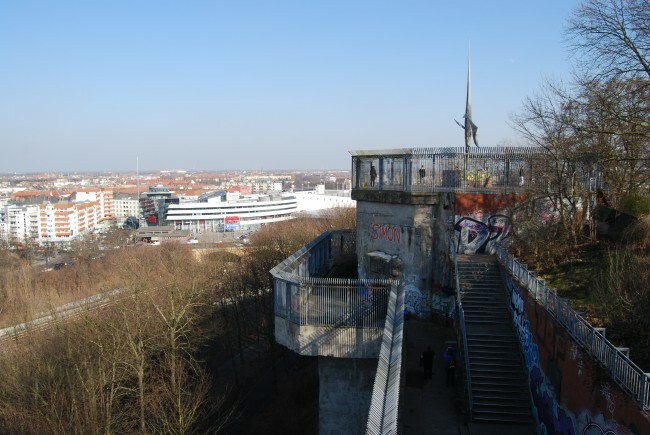 Of the three in Berlin, the tower in Humboldthain Park is the one in the best state of repair (the one at Berlin Zoo was entirely demolished, and the Friedrichshain tower just has one wall remaining). 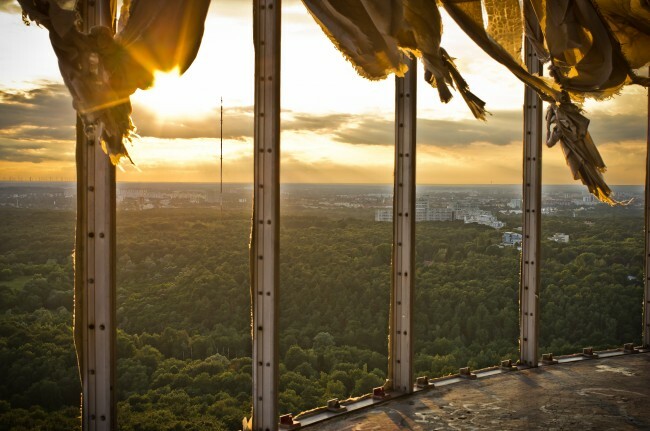 Head to the top of the tower for some great views of north Berlin – there are some chairs and tables set out, handy for sunset beers. You can also take a tour inside the tower. 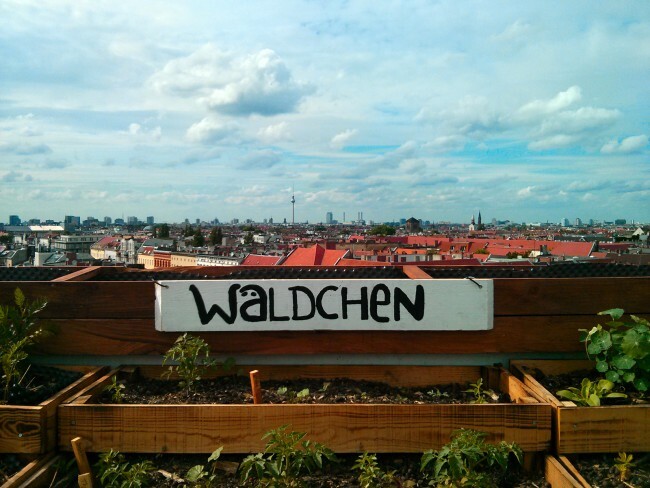 Hidden on top of the Neukölln Arcaden shopping centre on Karl-Marx-Straße sits this quirky little bar with great views over the rooftops of Neukölln and surrounding areas. On a sunny day it’s a great place to listen to some music and enjoy the panoramic view with a cold drink. At the centre of the Tiergarten stands the Siegessäule, or Victory Column, erected in 1873 to commemorate Prussian victories against Denmark, Austria and France. 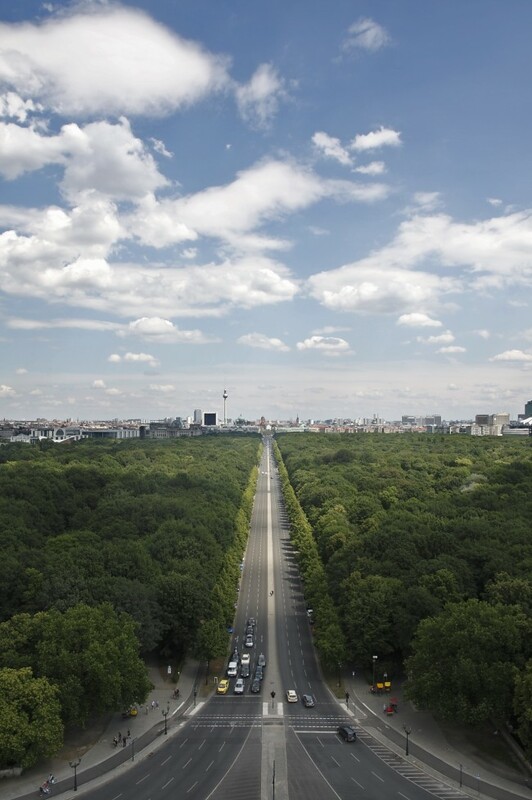 Pay 3€ to climb up the 285 step spiral staircase inside the tower and be rewarded by stunning views of the beautiful Tiergarten and beyond. 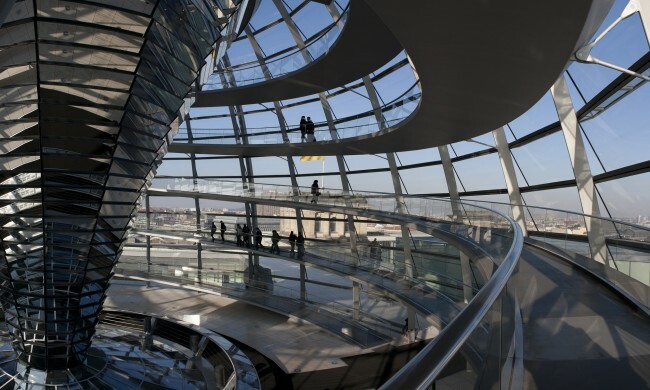 Architect Norman Foster’s iconic glass dome, which was added to the Reichstag to symbolize the reunification of Germany, offers incredible 360 degree views of the city. Make sure you book in advance on the official website to avoid the queues. There is a tour available or you can just explore the incredible glass structure yourself. It might be one of the smaller parks in Kreuzberg, but it’s certainly one of the prettiest. Climb up to the top of the Preußisches Nationaldenkmal für die Befreiungskriege (Prussian National Monument for the Liberation Wars) for a beautiful panoramic view of the city. On a clear day you can see the Berliner Dom and Siegessäule. 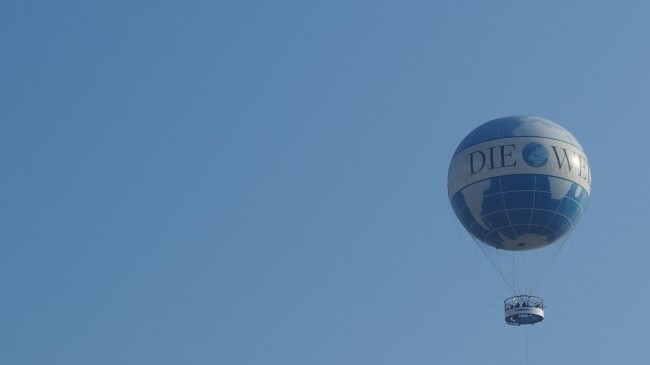 Finally, take a 15 minute ride up in the famous Berlin Weltballon which stands near Checkpoint Charlie and is a common sight in the city’s skies. You need to book and it costs 19.90€ per person. 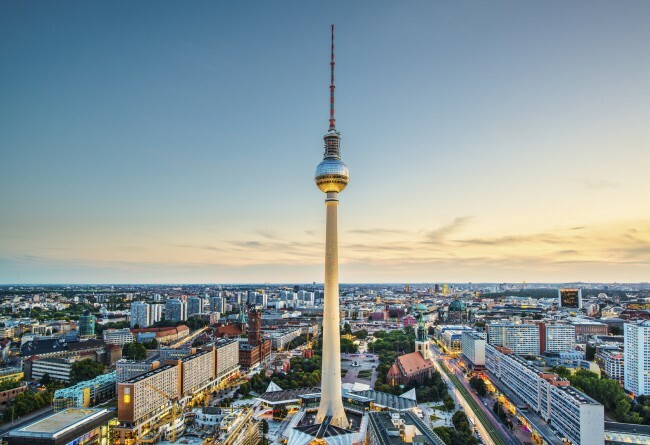 If this has piqued your interest and you would like to get to know Berlin better, read our guide to the different city tours available. If you are planning on visiting Berlin then make sure you take a look at our accommodation.